No, you are not having a mushroom induced hallucination — well, maybe you are, but you did read that title correctly. 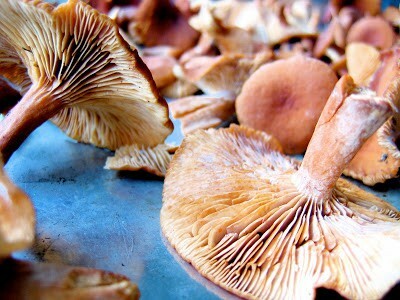 Candy caps, or lactarius rubidus, have a strong maple aroma when dried and are often used in pastry making. 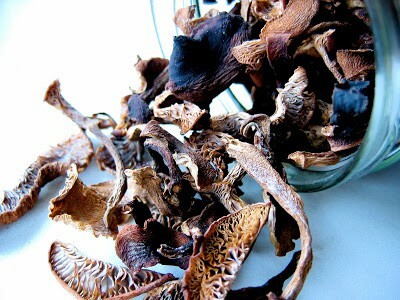 I first sampled this delicious fungus at Alive, a raw restaurant in the Marina, in a candy cap cheesecake. 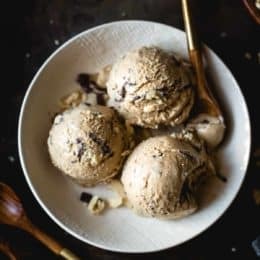 Now I know that raw, mushroom-flavored cheesecake sounds completely revulsive, but one bite of their ethereal confection bursting with creamy, maple goodness would immediately dissuade you otherwise. I longed to get my mitts on some of those shrooms to play with, and, luckily, didn’t have to wait long. A mycologically-inclined friend generously offered some up that he’d found foraging. I made some heavenly ice cream, then hoarded the rest, thinking I mightn’t get more. But the other day, the same friend took us hunting. We didn’t have to work too hard as the hills were practically littered with them. A few hours of minimal scrambling and huffing and we’d collected two sheet pans’ worth. As the new ones dried in the oven, I decided to make good on the old. 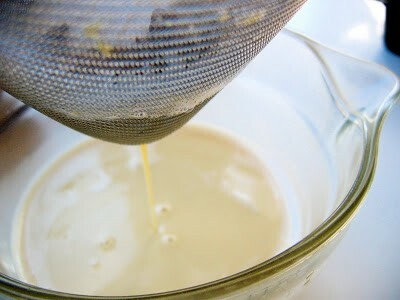 then tempered the dairy into eggs and sugar and strained the mixture. The custards baked in a water bath, then chilled overnight. 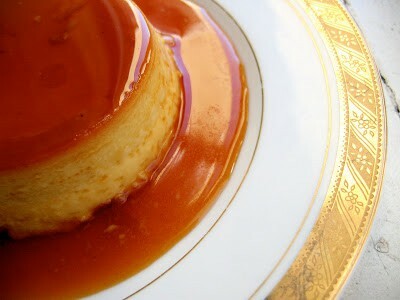 The caramel absorbs liquid from the custard, turning it into a luscious sauce. These creme caramels are smooth, creamy and burst with the sweet, maple-like flavor of candy caps. Your guests will never know they’re made with fungi. If you lack trustworthy mushroom geek friends, you can order candy caps from here. 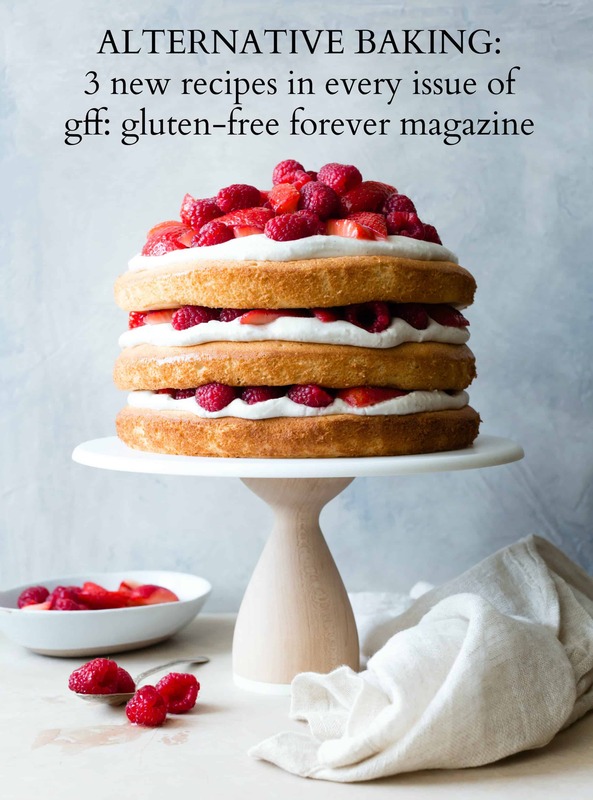 Impress your guests with this fungus dessert! Place a rack in the center of the oven and preheat to 325º. Have four 4 ounce ramekins ready, and an 8" square pan with 2" high sides. 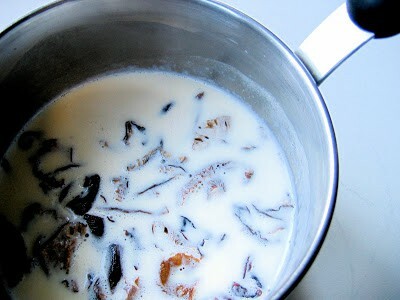 Combine the caps, milk, cream and half the sugar in a small saucepan. 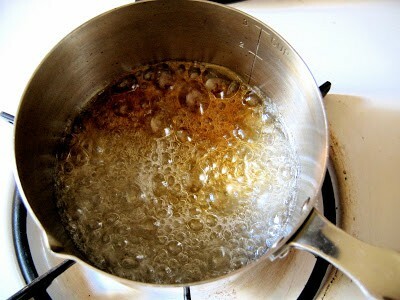 Place over medium heat until bubbles form along the sides of the pan and the mixture steams, stirring occasionally. Remove from the heat, cover and steep for 30 minutes. Meanwhile, make the caramel. Pour the water into the pot, then add the sugar, being careful not to get any crystals on the side of the pot. Add the cream of tarter, then bring to a boil over medium-high heat. Cook, without stirring, until the sugar dissolves, the mixture comes to a boil and the sugar begins to color. Gently tilt the pan to brown the sugar evenly. If any crystals cling to the sides of the pan, brush them down with a clean, wet pastry brush. 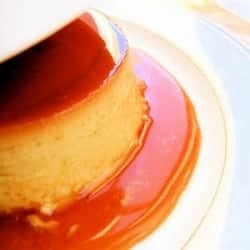 When the sugar reaches a medium amber color, remove it from the heat and immediately pour into the bottoms of four 4 ounce ramekins, tilting to coat them with the caramel. 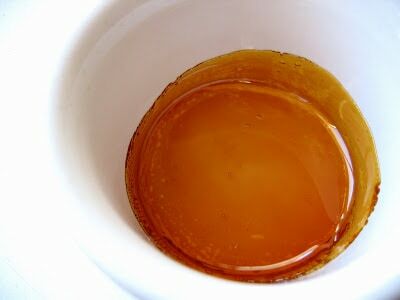 (If you're wondering how the heck to get that residual hardened caramel out of the pot, pour some super hot water into it and let it sit for 10 minutes or so.) 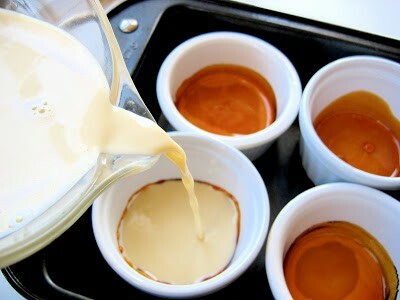 Place the coated ramekins in an 8" square pan with at least 2" high sides and set aside. 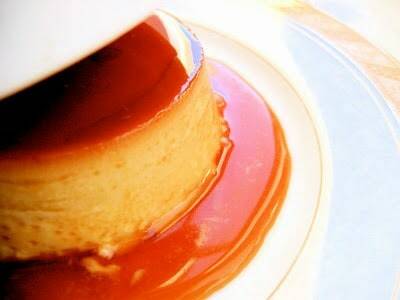 Pour the custard into the caramel-lined rams, filling them evenly. Pour hot tap water into the pan, coming two-thirds of the way up the sides of the rams (this is easier if you remove one ram first). Cover with a sheet pan or aluminum foil (punctured a few times to keep the custards from over-steaming). Place in the oven. Bake for 45 minutes to an hour. The custards are ready when they have a uniform jiggle, like jell-o. They should not appear runny or liquid (underbaked), nor should they have bubbles along the sides (overbaked). Remove the ramekins from the water bath when cool enough to handle. Chill in an ice bath if you like, and put them in the fridge when mostly cool for at least 12 hours, or up to a couple days. To serve, dip the ramekin in a bowl of hot water for a few moments. Use the pads of your thumbs to gently press around the top of the custard, prying it away from the ramekin and breaking the seal. Upend over a plate or shallow bowl. 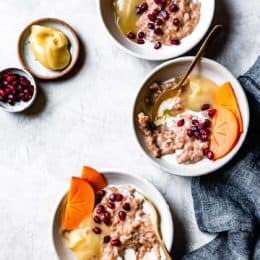 Holding the ramekin and plate firmly between your thumbs and fingers, give it a firm couple of downward shakes. The custard and sauce should slurp out. (If this doesn't work, you can run a sharp knife around the sides of the custard.) Remove the ramekin and repeat with the remaining custards. Make the base: 1 hour. Bake the custards: 1 hour. Chill the custards: 12-24 hours. 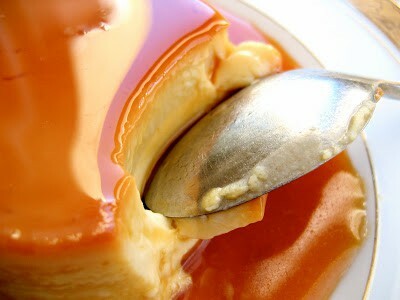 Begin this dessert the day before you wish to serve it, as the custards need to chill for a minimum of 12 hours so that the caramel has time to liquify into a luscious sauce. Once you've made the custard base, you can keep it in the fridge for a day or two before baking. The baked custards keep for a couple days. If doubling the recipe, you can either use 2 whole eggs and 4 yolks, or 1 whole egg and 5 yolks. 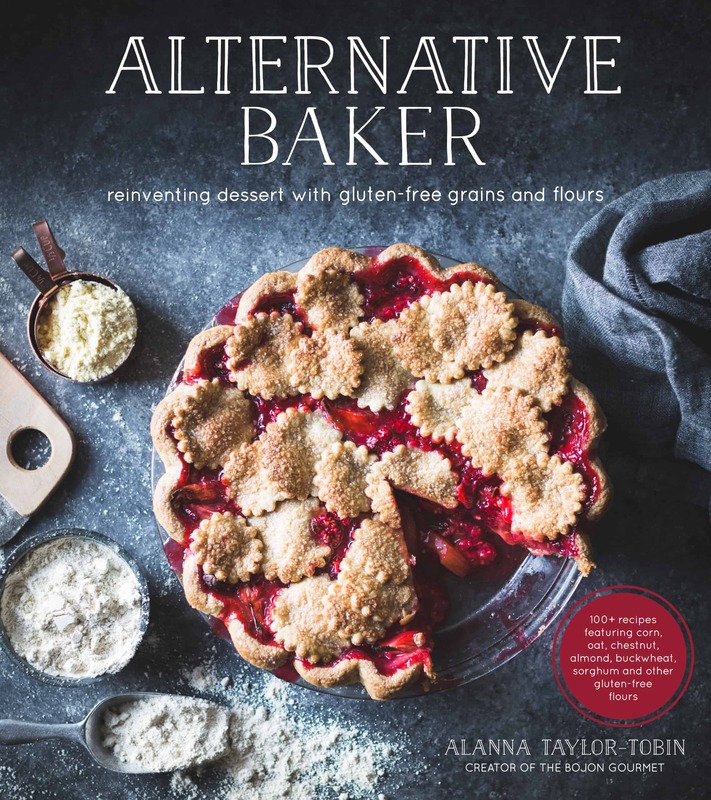 Nutritional values are based on one of four desserts. 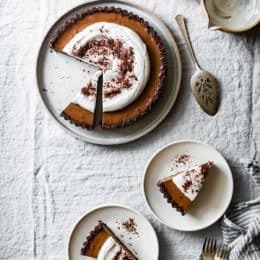 Begin this dessert the day before you wish to serve it, as the custards need to chill for a minimum of 12 hours so that the caramel has time to liquify into a luscious sauce. Once you’ve made the custard base, you can keep it in the fridge for a day or two before baking. The baked custards keep for a couple days. Place a rack in the center of the oven and preheat to 325º. 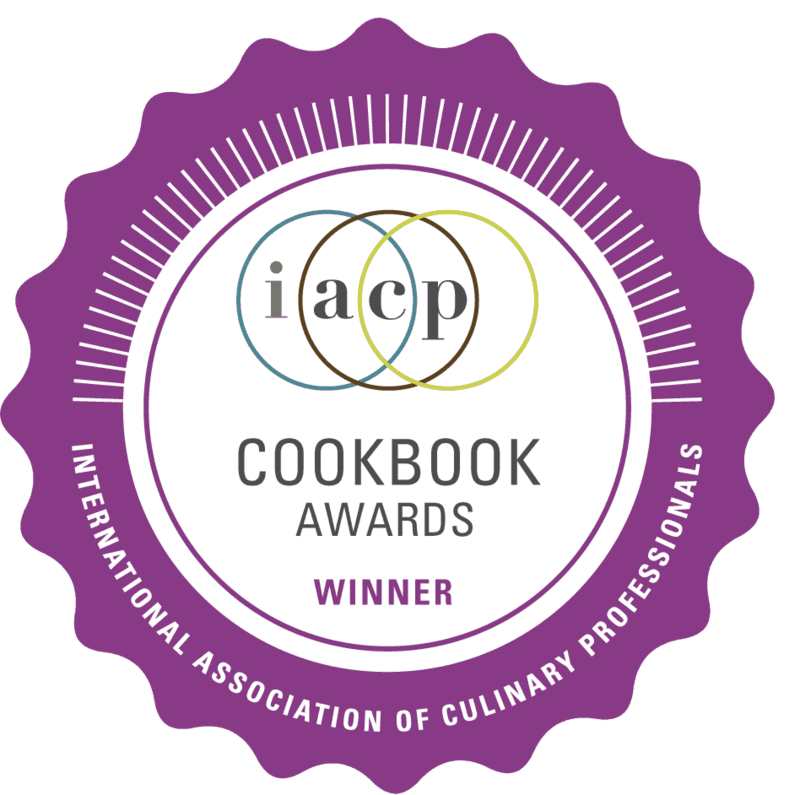 Have four 4 ounce ramekins ready, and an 8″ square pan with 2″ high sides. Meanwhile, make the caramel. Pour the water into the pot, then add the sugar, being careful not to get any crystals on the side of the pot. Add the cream of tarter, then bring to a boil over medium-high heat. Cook, without stirring, until the sugar dissolves, the mixture comes to a boil and the sugar begins to color. Gently tilt the pan to brown the sugar evenly. If any crystals cling to the sides of the pan, brush them down with a clean, wet pastry brush. 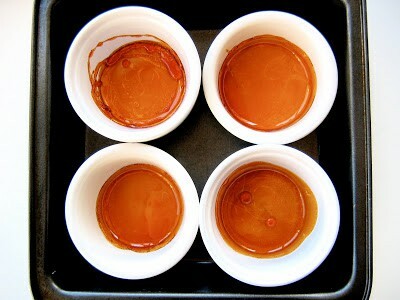 When the sugar reaches a medium amber color, remove it from the heat and immediately pour into the bottoms of four 4 ounce ramekins, tilting to coat them with the caramel. (If you’re wondering how the heck to get that residual hardened caramel out of the pot, pour some super hot water into it and let it sit for 10 minutes or so.) Place the coated ramekins in an 8″ square pan with at least 2″ high sides and set aside. To serve, dip the ramekin in a bowl of hot water for a few moments. Use the pads of your thumbs to gently press around the top of the custard, prying it away from the ramekin and breaking the seal. Upend over a plate or shallow bowl. Holding the ramekin and plate firmly between your thumbs and fingers, give it a firm couple of downward shakes. The custard and sauce should slurp out. (If this doesn’t work, you can run a sharp knife around the sides of the custard.) Remove the ramekin and repeat with the remaining custards.